There is an old African proverb which says that seeing is different than being told. 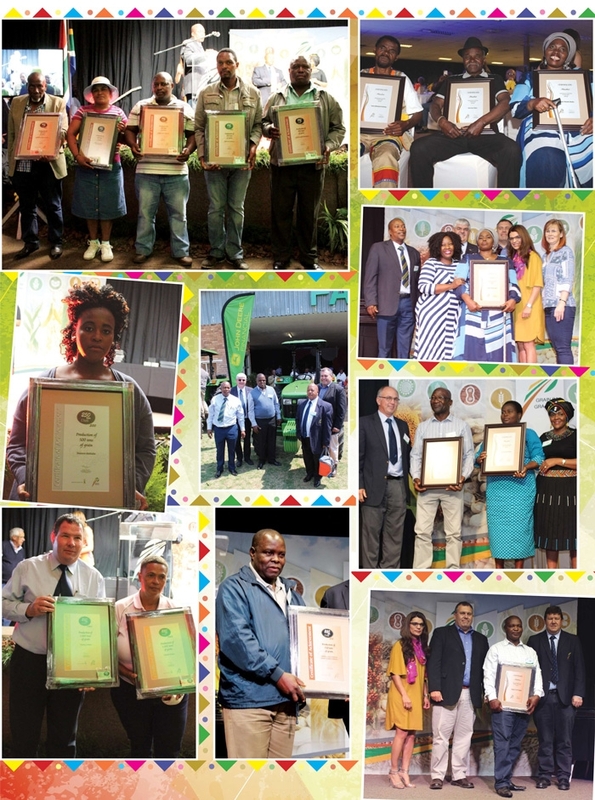 The farmers who were nominees in the various categories all took the advice their mentors shared on board, but when they saw the results of their labour, they knew that hard work is always rewarded. 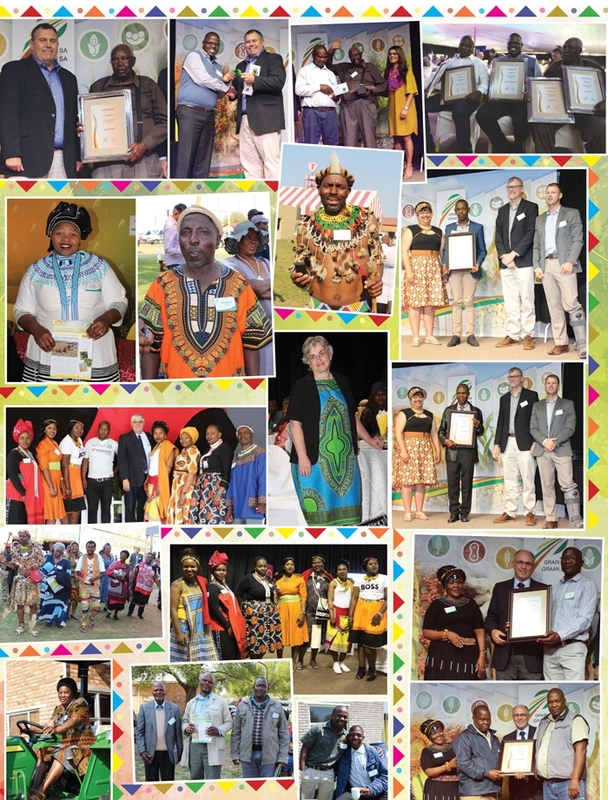 On 26th September NAMPO Park bustled with excitement and farmers in colourful traditional wear at the tenth Day of Celebration which was hosted at this venue just outside Bothaville in the heart of the Free State for the very first time. It was evident that agriculture in South Africa was alive and well thanks to the Grain SA Farmer Development Programme. He is very proud of the team involved in the programme who were instrumental in adding 29 emerging farmers to the list of farmers who produced grain of commercial quality during the past season. 21 farmers joined the 250 Ton Club, three new members joined the 500 Ton and 1 000 Ton Club each while two farmers became proud representatives of the 1 500 Ton Club. 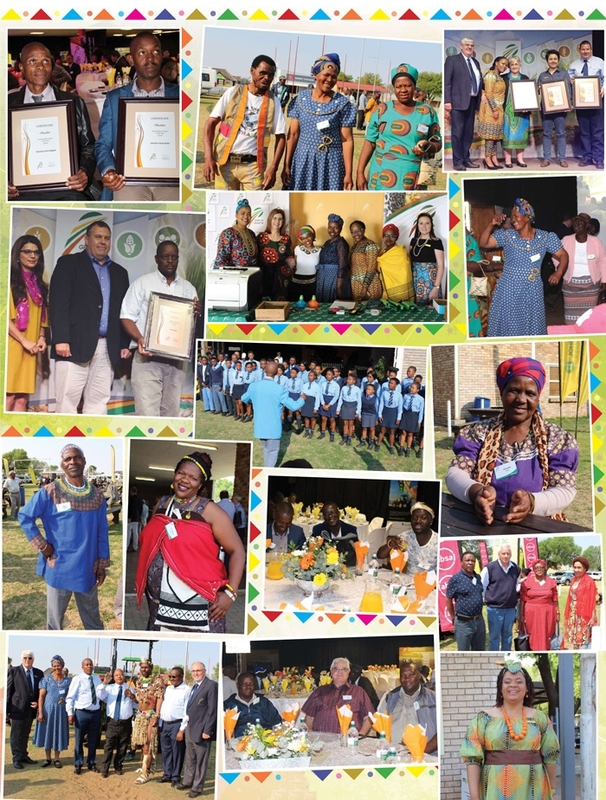 The Day of Celebration was initiated by Grain SA in 2009 to give acknowledgement to farmers for the hard work they put in throughout the year. Whether the year has been difficult with low yields being achieved or a good rain season which has seen high yields being recorded, the celebration takes place. An emotional Jenette Thembi Shoba (59) was announced as the 2018 Grain SA/Absa Subsistence Farmer of the Year. She farms between Ermelo and Piet Retief in the Mpumalanga area. Her interest in agriculture developed on the farm where her parents were farm workers. Jenette joined Grain SA in 2014 and attends a study group where she discovered how to become a more skilled farmer. Although this determined granny was injured in a vehicle accident, she managed to produce 7,5 tons of maize on 1 ha. The other finalists in this category were Amos Mfaniseni Kubheka from Mpumalanga and Siyavuya Njeya from the Eastern Cape. For 2018 there were only two finalists in the category, Grain SA/Syngenta Smallholder Farmer of the Year – Mduduzi David Mnisi from Mpumalanga and Nhlanhla Sicelo Mngadi from KwaZulu-Natal. The award was given to Nhlanhla (48) who joined Grain SA in 2015 after seeing the success his neighbour was enjoying as a result of Grain SA’s mentorship. Nhlanhla is applying what he has learnt and slowly working towards becoming a commercial producer. The improvement in the field and in his agricultural practices impressed the judges. A new category, Grain SA/Monsanto Potential Commercial Farmer of the Year, was introduced last year. The 2018 winner of this category, Paulus Mosia (50), hails from the Free State and joined the Grain SA Farmer Development Programme in 2008. He is also an active member of the Edenville Study Group and was instrumental in getting a new study group in Heilbron off the ground. Paulus and his wife, Nomasonto say their success would not have been possible without the Farmer Development Programme. Brothers Anton and President Mabaso who farm together in the Bothaville district were the other finalists in this category. The 2018 Grain SA/Absa/John Deere Financial New Era Commercial Farmer of the Year was presented to Jeremia Makhosini Mathebula (40) from Mpumalanga and his prize included a brand-new tractor. His farming career began in 2009 when he started planting only 40 ha of arable land on which he achieved about 4 t/ha of maize. Over the past four years his maize yield has increased by 75%. He currently plants a total of 450 ha of maize and 100 ha of soybeans and manages over 400 breeding cows. The other finalists in this category who each received a cheque of R25 000 and a watch from the sponsors are Thamsanqa Sampie Booizene from the North West Province and Daniel Maqala from the Free State. The sponsors who made this wonderful event possible were represented by Belinda Jacobs (Enablement Marketing Manager: Absa AgriBusiness), Antois van der Westhuizen (Managing Director: John Deere Financial Sub Sahara Africa), Andrea Boon (Head: Technical, Syngenta SA) and Dudu Mashile (Seed Sales Manager, Bayer). It is clear that the nominees applied the advice given by their mentors. According to a west African proverb, the answer to success seems to be found in listening and not speaking: A talkative bird will not build a nest! Although there can only be one winner per year in each category, any progress in your own farming operation will make you feel like a winner. Remember no matter how many mistakes you make or how slow your progress, you are still way ahead of everyone who isn’t even trying. See you at the 2019 Day of Celebration!